Quick, name a sponsored poker pro over the age of 50. Chances are you’ve had quite a bit of difficulty thinking of someone. 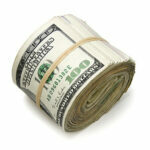 The fact of the matter is that for pretty much the entire existence of online poker, it’s youth who have been targeted. Poker might “be a young person’s game” according to the marketing sheets, but legions of players over the age of 50 are quite happily enjoying the game as well. 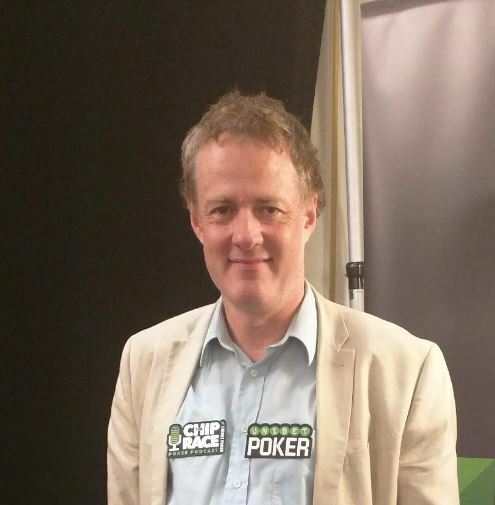 One such man who has bucked the industry trend, scoring a poker sponsorship with Unibet, is Dara O’Kearney. 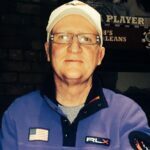 The 53-year-old Irishman only picked up poker after the age of 40, but he has truly gone all-in on the game, quickly climbing through the ranks to become one of his country’s top players both live and online. Dara and I met up at the the 2018 Unibet Open Bucharest where we had the chance to speak about his career prior to poker, how he found the game in the first place, and what he finds so enjoyable about his pursuits at the live and online felt. Beyond that, we spoke in depth about how the game is currently marketed and why he feels that the industry is missing a trick by not targeting older players. It was a great interview, which I think you’ll enjoy and learn a lot from. The video below is accompanied by a full transcript. Enjoy! 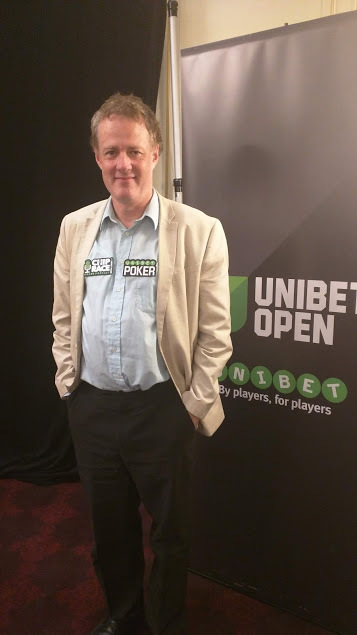 Hey everyone, Robbie Strazynski here at the 2018 Unibet Open in Bucharest. I’m here with Mr. Dara O’Kearney. How are you, sir? I’m pretty good, thank you. Good to see you. Good morning. Great to have you on. Thank you very much for your time. This is a special occasion; I’ve been looking forward to this one. I’ve got some specially researched questions for you. Alright. So, we’re going to take you back to your university days. I read in other interviews that you had studied electronic engineering. What made you want to study that, and what were you originally hoping to do with your degree? Yeah, when I was in school, the things I was best at were maths and English. At the time, you know, it was early 80s Ireland, pretty economically depressed, so everybody was really just focused on getting a career that they could be reasonably secure in a job. So, electronic engineering was sort of seen as something that had great job security. So, no great thought went into it. I had no passion to be an electronic engineer, but it seemed like it would have led to a very well-paid job. That was pretty much it, unfortunately. Well, you did study it, though, and you’ve said that there’s sort of a “natural skill transfer” from that to poker. Any sort of skills in particular that you could point to? Yeah, I think engineering in general, obviously it’s very numerical, very analytical. You analyze all the data. Engineering is essentially like a practical science. You see what works, you see what doesn’t. I actually got into computer science while I was studying electrical engineering, as well, and so that’s all about problem-solving, algorithms, and all that sort of stuff. So I guess that would be the main area of crossover. Well, we know you graduated university, and we know that you started poker at the relatively late age of 42. So, let’s fill in that gap. What were you doing for the 20 years in the interim? When I came out of college, I had lost all interest in being an electronic engineer, but my final year project had been to develop a software application. So I’d gotten into computers at that stage. I worked in computers for a couple years, initially as a programmer. And then I moved away from that towards sort of technical communication. I set up my own company as a sort of technical specialist, worked on a wide variety of projects in lots of different areas. 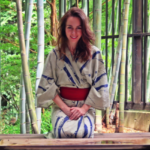 The thing I liked about that particular job was that I could come into a new area, like medical software or banking software, and try and learn it. So I learned lots of new things. I was also involved in the original HTML project, which was the development of the specialized markup language from the original SGML, which eventually underpins the World Wide Web, so I was there when that was launched. Yes, I like to tell people I invented the internet, but that greatly overstates it. You and Al Gore, I believe. Yeah, so for the next 15 years, I guess, I was essentially a traveling technical consultant from project to project. I was getting kind of tired of that, I didn’t really enjoy all the traveling. I’d also gotten into running during that time as well. Yeah, we’ll get to that. But, yeah, by the time poker came along, I wasn’t actively looking for a career change, but I was certainly open to it because I had been doing the same thing for almost 20 years. I was basically looking for something fresh. Got it. Well, you learned the game at 42, and already, less than a year later, you were earning more money from poker than from the day job. So you decided to turn pro, and you also have admitted that you ran well during that time. Nonetheless, it’s still exceptional. I mean, in the first year, to go ahead and make a change like that. What was that first year like for you? How much effort did you put into studying and playing in order to get better during that year? Well, I read all the books that I could find. I guess that’s what studying was back then. This was, pre-solvers. I also befriended one of Ireland’s top players at the time, Rob Taylor. He was a huge help to me the first year. My brother had played semi-professionally for a few years; he was the guy who taught me the rules. So I guess, all of that. I played an insane amount; I played every minute I possibly could. I think probably for the first six years of my career or so, I didn’t take a single day off. I played every single day. Wow. Well, that’s dedication, for sure. And you’ve done that with your running, with all of your other pursuits as well? Yeah, it was basically my new obsession. So I played very long hours; I learned mostly by trial and error, I would say. At that point were you like “OK, I’m really getting lucky here, running well,” or just like “Oh, this is easy”? Yeah. I think I definitely had an inflated sense of my own abilities as a player, yeah. Looking back, I realize now how well I ran for my first year. Well, in 2008, when you decided to go pro, what exactly was the turning point for you? How much were you earning in your job vs. poker that you said OK, I can do the poker thing now? I was doing very well at my job. I was earning, I guess it would be high five figures? But poker was going insanely well. I was crushing online cash; I was playing two to three nights a week in the Fitzwilliam Card Club in Dublin, and I was averaging about five grand a month profit from that. That’s great! Without the stresses of the job, then? Well, I was still doing the job. But it was actually, I was able to work from home, and it was on my computer, so I was literally playing poker and doing my job at the same time. That’s the way I started. And then the decision to go pro, it was like, after my first results it was like oh, maybe I’ll go pro, and I was like, well, that is just one tournament. Maybe we’ll wait for a second tournament. It was like, if I get another big result, then I’ll go for it. So there was a few months where nothing happened, and then I went deep in a GUKPT in the UK. And then I said, OK, well, now I’m pro. Which is an absolutely ridiculous way to think about it. But yeah, that’s the way we all thought back then. Alright, well, we’re going to switch gears a little bit. You mentioned distance running, and I’ve also read that you like playing chess and backgammon. So, what do you like about each of these three pursuits? Running I initially just started to try and get into some sort of shape because working at a desk all day with a computer, it’s very easy to get out of shape. So yeah, I just started as a recreational jogger, but having such an obsessive-compulsive personality, it didn’t end there. So, before I knew it, I was running marathons, and then, towards the end, ultramarathons. That means longer than a marathon. Right; anything longer than a marathon is an ultramarathon. So that can be anything. Running was the first really physical thing that I’d done. I wasn’t a naturally athletic kid, I wasn’t good at sports, I wasn’t good at physical pursuits. But just the pure joy of physical movement and having so much time to think and feeling physically fit as well. And the people who do run seriously are all wonderful people, at least the people I interacted with. A lot of endorphins in the system, that’s for sure. A lot of endorphins, a lot of really positive people. And so that was I guess why I enjoy my running. The other games, chess and backgammon as you mentioned, and I also played bridge at a pretty high level. It was just sort of the puzzle aspect. And also the competitive aspect. I’m a very, very competitive person, so as soon as there’s anything I can do where I can play against other people, that’s an immediate attraction for me. And then I do like to sort of work out the whole strategy of games and deconstruct how to be good at games. I played a lot of all sorts of card games as a kid; I played chess and draughts as a kid–or checkers–and yeah, I’ve just always been drawn to games in that sense. So yeah, that kind of ultimately led to poker. You’re widely known as “Doke.” Does that nickname mean anything? Where did that come from? I remember, the very first site that I played on, I had to set up a user ID. And I tried Dara, and that was gone. So then I just took the first four letters of my first initial and second name. And it only needed four letters, so I thought, there’s no reason to put in a fifth letter. It’s a waste, because I’m going to have to type this every time I log on from now on. Yeah, this is the engineer’s mind. The GTO, why waste a keystroke. And it stuck? It stuck because for the first several years of my career, I was essentially an online player who occasionally played live, so when people would meet me, they didn’t know me by name, but they knew who I was online. So they started calling me Doke. And now, yeah, the name has just stuck. You mentioned that live and online. You made that transition, and you said that it was relatively easy. Is this because specifically you weren’t in your twenties? I mean, typically when people start playing online, they’re in their late teens, early twenties, and then the transition is to live. You did that, but you weren’t in your twenties anymore. Yeah, I think that definitely helped, for sure. Just things like emotional control and being used to being around people, being used to reading people, as well. Because my job before as a technical consultant, a lot of it was like, I would have to go in as a technical expert and deal with the people in the company, and a lot of the job was just figuring out the internal politics. You would go into a meeting, everybody would be talking about something, and you would need to be able to pick up on, OK, who’s negative to this new idea, who’s positive, who’s really driving here, and all this stuff. So I think just being used to dealing with people, reading people; that was definitely a huge help. 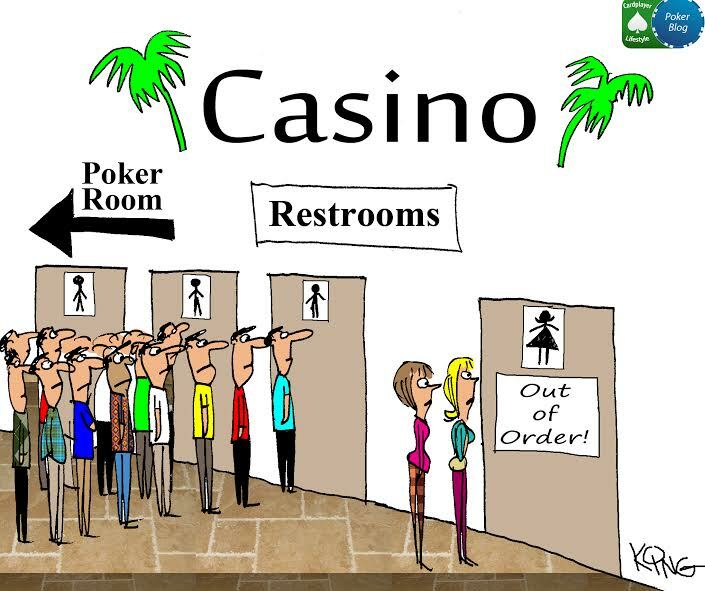 I think that one of the things that online players really struggle with is the sort of boredom factor of live poker, that they’re not playing 20 tables anymore, that they don’t have as many decisions, so they can kind of just get bored. Whereas I do just enjoy the whole experience of being at a table. Plus, having been, like a super long distance runner, I guess, doing the same thing over and over again. 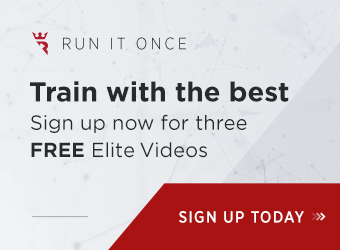 You said in an interview with my good friend Barry Carter from Poker Strategy that the poker industry is kind of failing at marketing to older players, always focusing on the younger ones. I mean, we all know that, even though older players, they have more discretionary income, ostensibly. So if you were in control of things, what sort of marketing would you like to see from online sites like Unibet to older players, and how would you go about it? 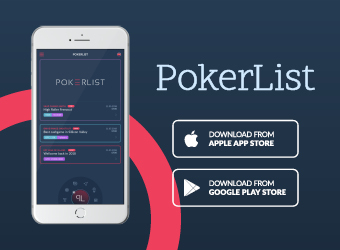 Just to step back for a second, one of the biggest turn-offs for older players is the number of financial scandals that have dogged online poker. If you’re a young guy starting out and you’re 18, you just want to get online and you want to play, and you’re willing to risk it all because you don’t have much to risk anyway. If you’ve worked all of your life for your savings, and now you have time to spend doing something you love, you want to feel that if you put money on a site, it’s completely safe. Now, obviously, sites like Unibet and all the rest are totally 100% safe, but the problem is that as soon as there’s like one bad egg, that’s the scene in everybody’s mind. So Absolute Bet, Full Tilt, all of that, that really affected that demographic. I think the poker industry handled that really badly in allowing that to drag on the way that it did. What should have happened really is, the other sites should have come together and guaranteed all the players’ monies. That’s the first thing I would do. Whenever a site goes down, rather than saying, “oh well, that’s sad that all those players lose their money,” not realizing the massive damage that that does to the credibility of the industry. So instead of like, having all these really expensive commercials and hiring all these really expensive ambassadors from other fields of sports and so on, if they had just looked after that, I think that would be a huge thing. A few years ago! You’ve got to be 50 to play that! You’re only 52! So yeah. Just the talk at the table about online poker, it was generally negative. Like “Oh, I’m not sure our money is safe,” and “Isn’t that for young people?” and I thought, online poker’s missed a trick here. These people have lots of money, lots of time. Other industries, like the music industry, target them specifically for exactly those reasons. You have nostalgia tours, you have everything that’s aimed specifically at making the older generation go to concerts. And I mean, it should be more difficult to get an older person to go to a concert than to get them to sit down in front of a computer to play poker. And yet the music industry’s done a much better job. You’ve got a pretty widely read blog called “Doking Around in Cyberspace.” How long ago did you start the blog, and what gave you the idea to do so? I know, that’s a real throwback, yeah. And I enjoyed that process and I found it very useful when I was a runner, you know, talking about my training, talking about how races are going, what I could learn. So I thought I could do the same for poker. 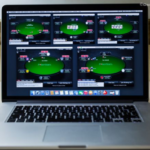 Initially I was just blogging, and I never saw the point in blogging initially about online poker, so it was just every time I went out to play live, I’d write like a tournament report. For myself. And after a while, I’d started meeting people at tournaments who would say “Oh, I read your blog,” and I was like, “Oh my god, how have they even found my blog?” Because I didn’t advertise it at the time – which anybody who knows me now will find funny because I’m such a shameless promoter of my blog – but back then I didn’t actually even promote the blog. So then I realized, oh, other people are reading this now, so I can’t just be self-indulgent–I went there, I lost a race, I went home. So I started thinking about other types of content that I should put in. And then, gradually over the years, the readership was built, it got far more international. When I started, obviously, everybody who read the blog was Irish. Now, it’s only about 10% Irish, 90% from other countries. And the great thing about the blog over the course of my 10 years is, almost everywhere I go in the world, someone will come up and say they read the blog, so it’s an immediate way in with getting to know people. I did, actually, yeah. I had done the very first Irish podcast, which was called Irish Poker Radio, with a gentleman called Ian Shane, an Englishman who had relocated to Ireland. And he had approached me and said “I want to do a podcast; I’ll be the sort of recreational player and I want one of the professional players to do it as well, would you be interested?” and I said “Yeah, I’d be very interested.” The whole podcasting game was very new. I think we did about 12 episodes. This was how long ago? Around what year, more or less? 2009, maybe? So, it was very successful in Ireland, built an audience, then Ian basically moved on to other areas. He had other projects he wanted to do, and didn’t want to do the podcast anymore. So I stopped at that point as well, I didn’t want to continue. This is several years before the Chip Race. But I had done that before, had been through it, knew that there was a market for it. People did enjoy it, so I was confident the Chip Race could be successful. And so David sort of approached you and was like “Let’s go, let’s do this”? But it worked out pretty well! Yeah. He said, “What we’ll do is we’ll make one season, and if it works and they get a sponsor, then we can monetize it.” I thought this sounded like a cool thing to do anyway. David’s a fun guy to work with. And you said one season, now we’re at the end of Season 6; it’s four years later. How do you guys define a season, and how many episodes get produced per season? David’s basically a wannabe TV producer. So in his mind—and I’ve had difficulty getting my head around this too—basically seven episodes is a season, but we never do seven in a row. We do four, we take a break, and then we come back and do three. And somehow those two things together are a season. But there are several a year, so yeah. It’s a little bit artificial, but it does kind of break the thing up. But people ask me about Season 4 or Season 3 and it doesn’t mean anything to me. For me, it’s just a sequential list of episodes. Got it. Well, what do you enjoy the most about cohosting the podcast? Getting to meet some amazing guests. We’ve been really fortunate with the guests that we’ve got. 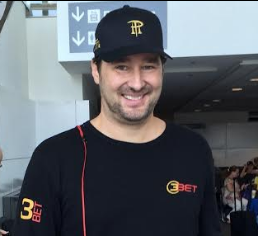 People like Jennifer Tilly, Phil Laak, Phil Hellmuth. But then a wide variety of lesser-known names as well, that we’re friends with and know. I’d say the main thing though is just working with David, because he’s such a fun guy to work with, and he’s really committed to making the podcast successful, too. David does, at least, I would say, at least 80% of the work. So you get off pretty easy, is what you’re saying. I get off easy, yeah. Nice. Solid move. You mentioned the good guests you have. Right here at the end of Season 6, big stellar guest Molly Bloom, it’s pretty awesome. Do you have any guests that are on your bucket lists that you want to have on future episodes? 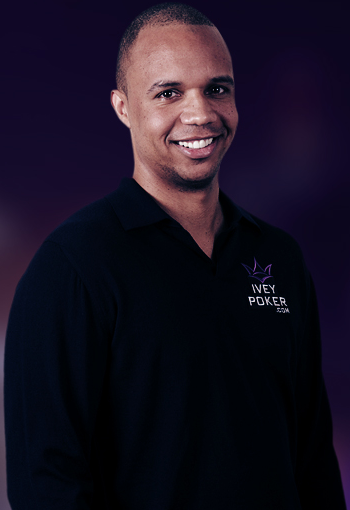 Personally, I think it would be amazing, probably the ultimate would be Phil Ivey, because he’s such an elusive character. He’s dominated the game for so long. Yeah, I guess Phil would be the ultimate. 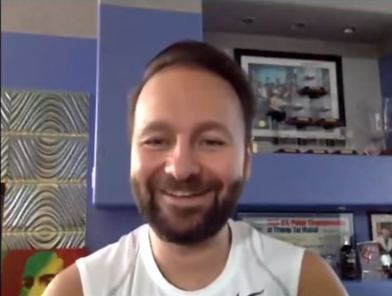 Daniel Negreanu would certainly be interesting as well, even though Daniel is much more exposed, let’s say. I mean, Daniel’s a fascinating character, so we’d love to talk to him as well. 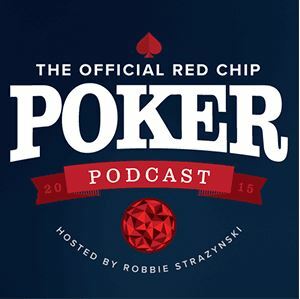 Your podcast, the Chip Race, is sponsored by Unibet, as are you. Your relationship with Unibet, did it sort of happen like, “OK, hey, Dara, do you wanna be an ambassador”? What happened that got you to them? That was basically it, yeah. 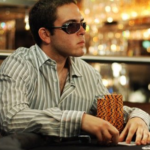 I mean, it was bizarre, but I think, my memory is it came out of a blog I wrote a couple of years ago on a PokerStars event in Barcelona which was, from my perspective, a total and utter disaster in terms of player experience. So I broke down in my blog what was bad about it, why it was bad for players, why players were complaining, why players weren’t having fun at it. And Unibet came and said, the head of Unibet Poker came and said, “We read your blog, we agree with everything you say. This is very much our approach as well.” Live events should be about player experience. “By the players, for the players.” It says that everywhere, right. And that’s not just a slogan. Unibet are committed to recreational players having a good a time as possible at their events. Well, you see it here, that’s for sure. Well, that’s why we’re here in Bucharest. There’s a wonderful hotel, so many parties put on for players, so many fun events they can do. So yeah, that’s basically how we came about it. You’re 53 now, and you’ve been playing poker professionally for about a decade. Looking back, what would you say have been your most enjoyable moments and your most challenging ones? I would say the most enjoyable moment would have been my first big win, but then I probably didn’t appreciate that at the time. I just thought well, I’m great at poker and I’ll win every tournament I play from now on, so. I went through a few difficult years in the middle of my career, where I wasn’t doing as well as I had done online in previous years, and I was starting to worry that the game was passing me by a little bit. I didn’t have any really big live results at that stage as well, so I thought maybe I’m doing something wrong, why am I never tabling, all that stuff. Self-doubt starts to creep in. 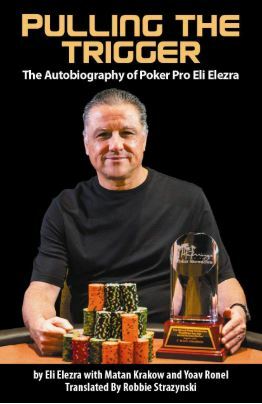 And then in 2015, I came second in a WSOP event and the experience of making that final table, and I was short stacked the whole way, and just the experience of playing that, that was, I would say that was the highlight. But also the support I got from back home; people were sending me photographs of people in pubs all over Ireland, standing and watching the screen of the final table that was going on. That’s so cool. Wow, that must have felt amazing. And when I went back, the reaction was just incredible from everyone. Like a rock star, you were greeted. Like Bono, right? That’s the big Irish rock star. Yeah, the Bono of poker. And so I would say that was the main thing. Last question. What sort of goals and hopes do you have for yourself as far as poker and life in general over the next decade or so? The main one is just to keep doing it. I think the real victory in this is longevity. I’ve seen so many players come and go over the last 10 years, and had like, short, brilliant careers that burn out like a supernova. So I would say that’s the main thing. And then, obviously, if I could win a really big tournament, win a Unibet Open, win a bracelet, that would probably feel like the ultimate. But I would say it’s mostly just continuing to do what I’ve been doing. Because I still love poker, I still love getting up every day and being able to play, and not having to do another job. So yeah, I’d say that’s pretty much it.